Shivraj Singh Chouhan, the Chief Minister of Madhya Pradesh is a very popular leader of the India in Bhartiya Janta Party. He transformed Madhya Pradesh from a Bimaru state into a fast developing state. In his leadership Madhya Pradesh made advances in all walks of life. Book give some very interesting moments of his life. It is throws light on the political culture of growing BJP and the working style of their leaders in their formative age. Whole book has been divided in three sections. First part deals with brief biography in a chronological order. 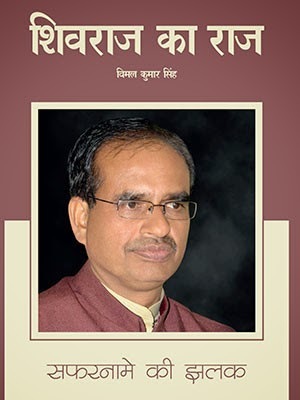 The second part gives the interesting account of some important moments from the life of Shivraj Singh Chouhan in a fiction format. This is the most important part of the book. In third part some important lectures and data have been reproduced as reference. Publisher: Samvad Media Pvt. Ltd.